MostCreepy.com - UGM is one of universities in Indonesia. It was established on December 19, 1949. There have been many creepy ghost stories at UGM Yogyakarta. The story of ghosts on the UGM college has actually been spread by word of mouth among students. Maybe you will think twice if you plan to stay late at night at this university. There is a bridge at UGM that connects the diagnostic laboratory of the veterinary faculty with the fisheries faculty. A ghost named Rohana is known to be exist on the bridge. Rohana has become an urban legend from generation to generation of UGM fisheries students. The students who saw Rohana tell that the ghost walking and jumped on the bridge. When they checked to the bridge, nobody was found. The parking area behind UGM chemical engineering faculty was also believed as a haunted location. A big ghost who is often known by the Javanese as Genderuwo, always appears in the location. Not This area sometimes has a very strong smell of blood. UGM student center is a center for student activities that has been built since the 70s. If you go to this area at noon, it may seem normal. But try to come at night, alone, and you will feel a dark atmosphere. Some ghosts that are often seen are ghost of grandparents, Kuntilanak (woman ghost), laughing women, or adult men who suddenly appear and disappear. Try to come alone at night to prove it. 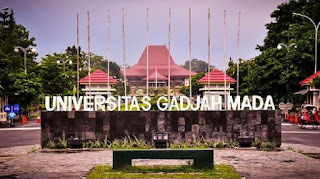 The UGM rectorate building is believed to be the location for the sighting of Dutch men. Several students see a Dutch man appearing, when they tried to be closed to him, he suddenly disappear. The UGM registration building area has long been considered very haunted. Reportedly there often a mysterious smell, and also woman ghost. The area of ​​this building is very dark, especially at night. It makes the hair goose bumps. 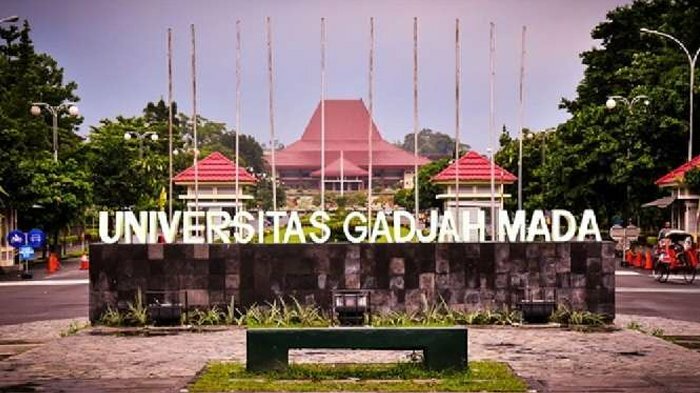 There is a myth that has been trusted by many UGM students from generation to generation in the UGM technical roundabout area. The myth is a ban on singing the song Autumn Flowers in the area. It is said that there will be a mysterious ghost or a terrible incident if you sing the song Autumn Flowers at the UGM engineering roundabout at night, and alone. Once, at night at around 10 pm, two students from UGM Geophysics were using free internet on campus. One of the students realized there was an old man, and when he found out he saw the old man without having a pair of legs. The student immediately fled leaving his friend. Feeling sorry, the student sent a message to his colleague and told his friend that the old man had no legs. One of the former students who often stayed on campus at night admitted that he often saw sightings of kuntilanak and also a female head floating around the geography faculty. In the area of ​​the faculty of economics, it is believed that there was a ghost who has nickname Ms. Yayuk. The ghost even caught sighting on CCTV cameras. It is said that she was a student whose thesis was rejected so that she was disappointed and killed herself by jumping from the building. This story is said to be experienced by a medical student who will take a practical exam for anatomical material in the human body. It was at night, suddenly the student was visited by a mysterious old man, and the old man gave some papers. It appeared that the paper contained the questions that came out during the practice exam on the next day. The student who was on the test was really happy, until finally he had to open the face of the corpse that was part of the practice. How shocked the student when he found that the corpse actually the old man who gave him the papers on the day before.